Mishaps and accidents happen when you least expect it so it is always important that you equip yourselves with the best technology to ensure your safety, protection, and security. Before choosing the perfect home security camera system you should take in to account numerous factors as it will benefit you greatly. After all, it is a matter of your security which must never be taken lightly. Investing in a security camera system can be one of the best investments you can make although buying one can be a little overwhelming. Here are a few tips to get the help you get the best security system. Burglar alarms are different from home security cameras. The first one is the traditional type of alarm that consists of sensors on doors and windows. The latter gives indication even about environmental dangers such as house fires, carbon monoxide and also flooding. 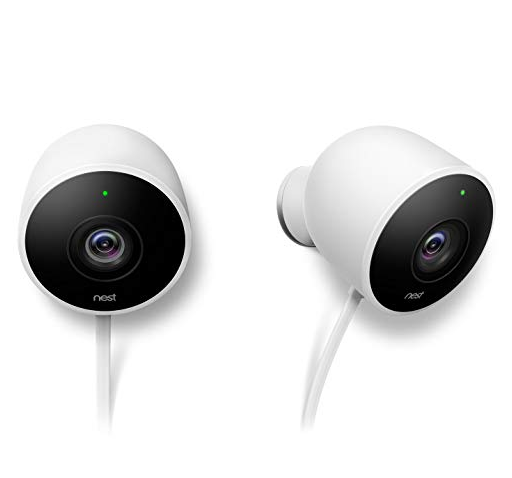 The size of the home security camera matters as a small system is fit for an apartment or a small house. On the other hand, a large system is best for a large house as it requires a huge amount of monitoring and controlling of information. Your valuables can be protected now. Installation of security devices on valuable items alert you when they tampered with the help of asset protection. The installation process greatly varies as a traditional wired system requires a professional to install it whereas wireless systems are easier to install and no drilling is required. 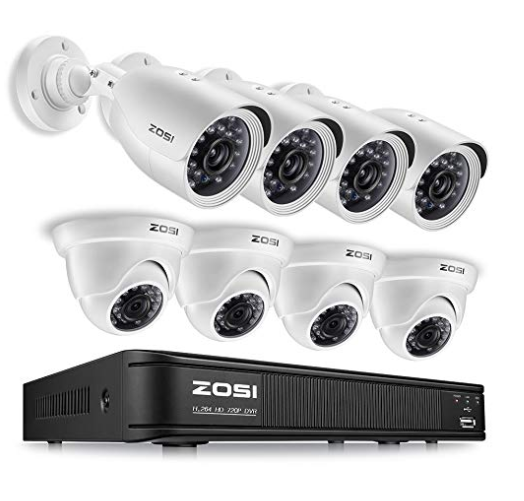 This security camera system retails for $169.99. 72 degrees viewing angle provides a wide-angle view for capturing videos and images. Eight 720p bullet camerasfor surveillance purposes are connected with the DVR recorder. The bullet cameras are weatherproof that are able to withstand any kind of weather, suitable for both indoor and outdoors. Up to 65 feet or 20m of distance can be recorded with the night vision function. 24 LEDs of about 5mm infrared is used for recording at night. It is very easy to get live streaming and playback videos on devices compatible with iOS and Android through the free ZOSI app. This can be done via internet browsers like Firefox and Internet Explorer on software such as Windows and Mac. Customization of motion sensors is also possible to save yourself from getting false alarm notifications on your e-mail directly until the camera stops detecting moving objects. The security system offers four kinds of recording to meet all your requirements such as continuous recording, recording at a scheduled time, motion-detection recording and recycle record. The 60ft BNC and DC CCTV power cable provide a stable and more reliable connection than wireless security systems. It gives both video and power to the cameras. The different recording options save space on the hard disk. The internet is needed to be connected with the system to view video footages remotely. Amazon sells this home security camera for $110.49. The camera system can be placed anywhere in the house both inside and outside as it designed with the weatherproof technology. The built-in motion sensor is triggered when the motion is detected and sends the relevant data and information to your mobile phone via WI-FI. A short clip of up to 1080p HD is sent to you by the motion detectors. The cloud storage is totally free with no monthly fees and no service contract is required. Live HD videos and audio streaming can be seen or heard clearly with the security system. The infrared night vision records videos at night. This can also be done by the LED illumination. Temperature monitoring is also done by the system. You can expand the system with 10 cameras on one module of Blink Sync. 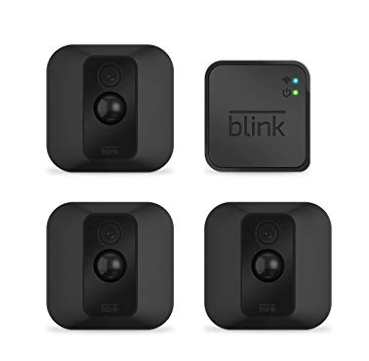 It is easy to control the wireless cameras with the Blink Home app available in both Android and Ios. Installing the home monitoring system takes a few minutes and you can even do it yourself. It requires operating systems iOS 10.3 or Android 5 Lollipop or higher which many people do not use. Some people still have an older version of Ios and Android. It is an outdoor security camera that entails with any kind of weather forecast be it sunny, rainy, and snowy. It displays videos in full HD quality of 1080p which means it records videos very clearly and brightly. Whenever any motion is sensed by the inbuilt motion sensors, you receive alerts or notifications via the Next smartphone application. It comes with a viewing angle of 130 degrees which is an extra wide angle for viewing. The night vision function records live recordings of about 30 meters distance from the camera. It comes with the function of two-way audio which allows you to talk and listen in to the events happening around the house. This becomes possible with the built-in speakers and microphone. 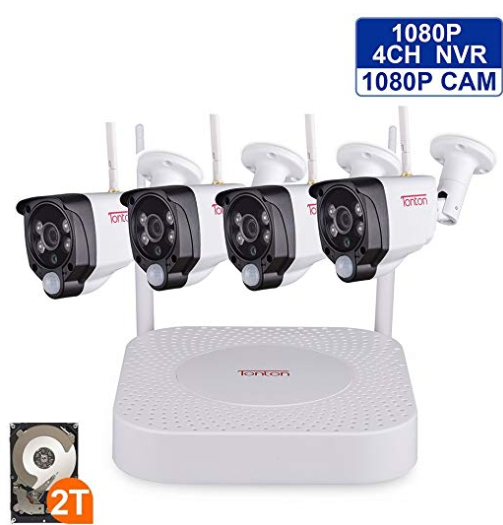 It has an all-glass lens which enables you to get the best image quality in HD full resolution in comparison with other security camera systems which have a plastic lens so the quality of videos and images you receive is low. You do not have to worry or batteries anymore as it is mains powered. Dead batteries will not be a problem for you. You can talk to any suspicious visitors through the microphone and speakers. The setting up process is fairly simple and you can install it yourself. This home security camera is used only for outdoors and cannot be used inside the house. The security system is sold for $249.99 on Amazon. With the help of WI-FI, 3G or 4G, you can receive live viewing and playback videos on your mobile phone. The IR cut filter enables you to get a sharp, clear, and bright image day and night with the help of the camera’s weatherproof feature. It can be used anywhere like inside the house or outside with IP67 weatherproof technology. The night vision feature can record videos and images of up to 60 feet with 6 IR LEDs. The 4ch perimeter detection is optional and can be used whenever required. It supports 1ch face recognition feature and intelligent video analysis and searching. The smart alerts notify you when there are any unexpected movements. It immediately sends you notifications with images on your mobile phone. There are four record modes such as alarm recording, recording automatically, motion sensor recording, and manual recording. The lens of the camera is 3.6mm with a viewing angle of 60 degrees. The audio in and audio out features are both 1CH and RCA. The image sensor is 1/27 inches and 2.0 sensor. This security system has a two-year warranty and a lifetime of tech support. Face detection feature works really well and recognizes people very fast. The viewing angle of the camera is only 60 degrees which is less than most security cameras. It is quite expensive in terms of the less viewing angle. This home security camera sells for $199.99 on Amazon. This is a wireless security camera system that is 2.4GHz. It has two weatherproof cameras with the night vision feature used to record videos at night. Whenever motion is sensed by the motion detectors, the spotlights are turned on and starts to record. The battery is rechargeable so you would not have to worry about replacing of the dead batteries. Time, manual or motion activation are equipped with the 500 white LEDs of Lumen high brightness. Any event is pre-recorded for five seconds which ensures that the incident is fully captured by the camera system. Three different displays are available such as single, split or quad display which the system equips with up to four cameras. The recording modes like automatic recording, manual recording, and predefined recording are available with the 7 inches’ touchscreen monitor. It records to about 720p HD videos with audio. 8GB SD card is included with the package and supports up to 128GB SD card storage. You can keep track of your house anywhere in the world and at any time. You can see, hear and speak with people around the house from your mobile phone, tablet or computer. 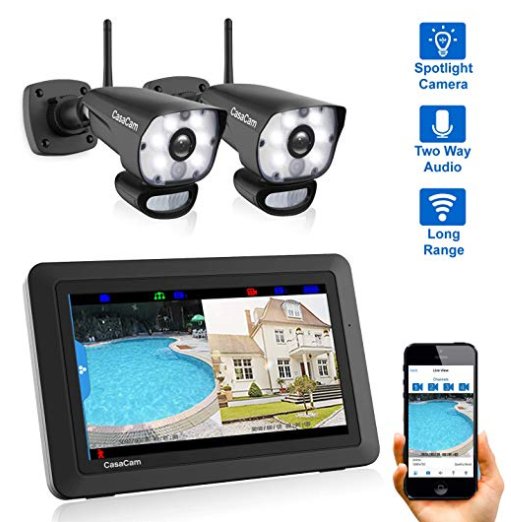 It is an ideal viewing security device used for viewing front and back yards, entryways, passageways, and other outdoor areas. The spotlights turn on when motion is detected. This will make the intruder know that there is a security camera installed and he will try to disarm the security system.